Twelve Webster Vienna students went to Singapore for the Model United Nations Conference at Nanyang Technical University (NTUMUN). After international conference trips to France and New York and hosting a conference in Vienna last fall, this was their first to an Asian MUN Conference. The Model UN experience puts students in the shoes of diplomats, politicians, government officials or journalists to discuss current issues and offer new solutions to political, economical or social problems. 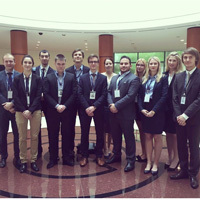 Delegations from over 45 countries comprising 130 student delegates focused on "The Geopolitics of Resource Scarcity" at this year's three-day Webster Model United Nations in Vienna. The conference took place with substantial support by Webster’s International Relations Department, the Media Department and business students, and expanded on the success of last year's interconnectivity sessions. The Model United Nations 2015 held at Webster Vienna kicked off Oct. 17 and concludes Oct. 19 with closing ceremonies. 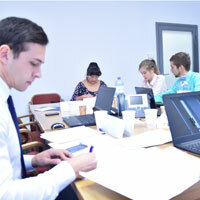 This year’s theme, "Geopolitics of Resource Scarcity," brought over 100 delegates to the Palais Wenkheim for a simulation of diplomacy, international relations and work in international organizations. The opening keynote was given by Ambassador Hubert Heiss, Austrian Ministry for European and Foreign Affairs.